The Common Reader program at York College integrates both academic and student development goals for the first-year learning experience. A common reader is introduced in first-year courses, encouraging students’ deep thinking about important issues and concerns. First-year student activities and programs related to the reader are an integral part of encouraging students to engage actively with the College and each other and to connect academic learning to life experiences. The New Jim Crow, by Michelle Alexander, offers insight on how the current criminal justice system may be creating racial hierarchy. Alexander addresses many race-related issues that typically affect African Americans due to legal discrimination and mass incarceration. Mass incarceration, as she argues, is the new way of "racialized social control that functions in a manner strikingly similar to Jim Crow," hence the title. To support her argument, Alexander reveals to her audience both statistical facts and occasions when this social control has occurred throughout recent U.S. history, which have often been overlooked or were simply kept concealed from the public. 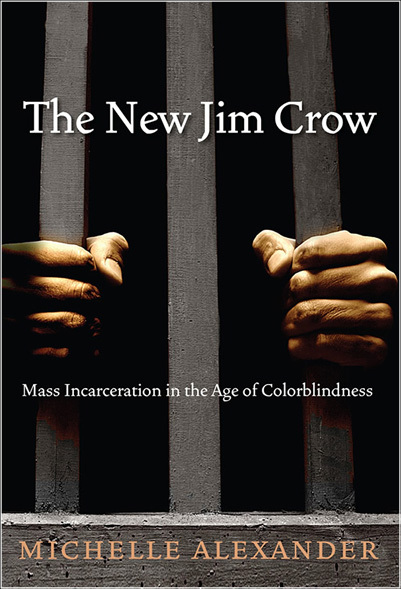 The New Jim Crow will not only have readers considering how the war on drugs has affected the African American community, but also spark the conversation regarding how the current criminal justice system might just be the "manifestation of the backlash against the Civil Rights Movement." Prior to becoming a writer, Michelle Alexander has had a long history as a contributive civil rights activist to battle race and gender discrimination. She has participated in racial justice movements for Northern California, partaken in civil rights activities at Stanford Law School, and acted as a law clerk for the U.S. Supreme Court and Court of Appeals. Since the publication of The New Jim Crow, Alexander has continued to show involvement in criminal justice issues through her articles, and has also provided commentary in documentaries regarding topics such as mass incarceration and the 2016 election. She continues to teach law at Ohio State University’s Moritz College of Law.